This was the first fictional film made with the full co-operation of the Royal Navy, including ships and technical advisers, and, not surprisingly, the Senior Service comes out of this adaptation of CS Forester's Great War novel with all colours flying. 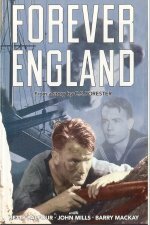 Forever England: After a slow start spent sketching our hero's background, director Walter Forde cranks up the pace as able seaman John Mills is rescued from the wreck of HMS Rutland by the German battleship Zeithen. His escape, and the way in which he delays the damaged ship's repair by picking off the crew from his hideout on the Galapagos island of Resolution, is crude but exciting.